Andre Miller's already had an accomplished career and at 38 years old, you might assume he's nearing the end of his journey. Think again. According to CSN Washington's J. Michael, the backup point guard believes he's got plenty left in the tank. "The business side always throws you a loop. Hopefully they can figure out how to keep a nice good core group of guys together. I'd like to be a part of that. ... I feel like I have a lot more years left and I can be in the rotation of a lot of teams in this league." He could remain in the Washington Wizards' rotation. The organization can either pay him $4.6 million to return for another season or buy him out for significantly less. 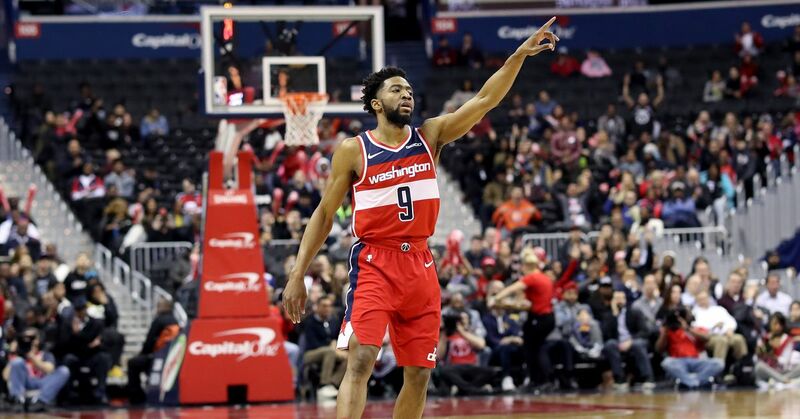 The Wizards will have a number of free-agent decisions to make and could elect to either bring back a similar group or save cap space for external targets. Trevor Ariza and Marcin Gortat will both be free agents after making nearly $8 million apiece. Younger pieces Trevor Booker and Kevin Seraphin will become unrestricted free agents unless Washington submits qualifying offers (which would make them restricted free agents). Miller, meanwhile, provided a measure of stability behind starting point guard John Wall. Miller played in 28 games with the Wizards after things fell apart with the Denver Nuggets. He averaged 3.8 points and 3.5 assists during his brief stint with the team but proved useful during stretches of the postseason. Washington's victory over the Chicago Bulls in the first round marked the first time Miller had actually won a playoff series. A veteran through and through, Miller is valued in large part for his ability to mentor someone like Wall. He's been around the block and knows the point guard position inside and out. His rocky departure from Denver hardly reflects the reputation Miller has built as a team guy over the years. We [Miller and Nuggets coach Brian Shaw] both stepped out of character, just a miscommunication. I think it was me just more stepping out of character on the court. I felt that I was somewhat not given a fair chance, especially when everybody else played that game, and I didn't get an opportunity to play. Like I said, I stepped out of character, it was wrong. But it happened and just move on. Miller is a unique personality, a relative recluse who seeks refuge in a league where most players share their lives on social media. He’s a stubborn player with a quick mind and no time for nonsense. He leads but he doesn’t yell. Miller will school you on the court, but once school’s out, he will not be heard from until it is time to back down the next unsuspecting, undersized point guard. The NBA’s finishers are adored and applauded. But what about the ones who deliver the passes on time, between dribbles and defenders, making it all possible? If a point guard is measured by how much better he makes his teammates, few are historically better than Andre Miller. So who knows? Maybe Miller does have a few more years left. At the very least, he's probably worth having around for one more.